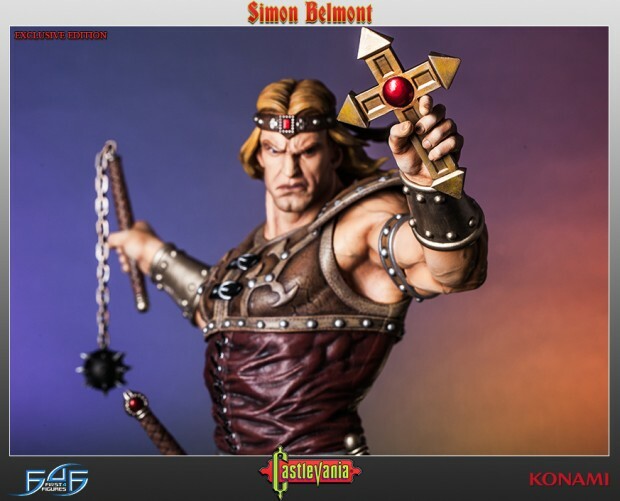 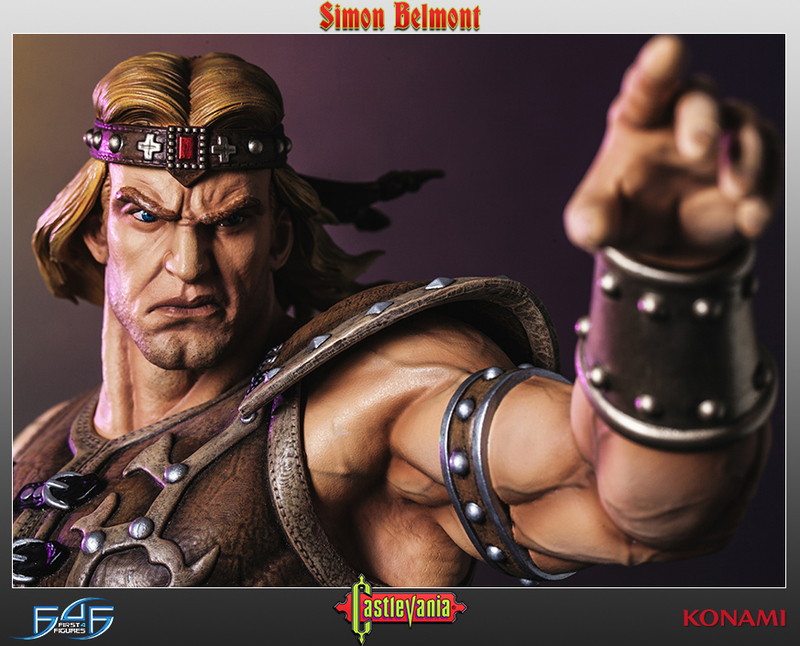 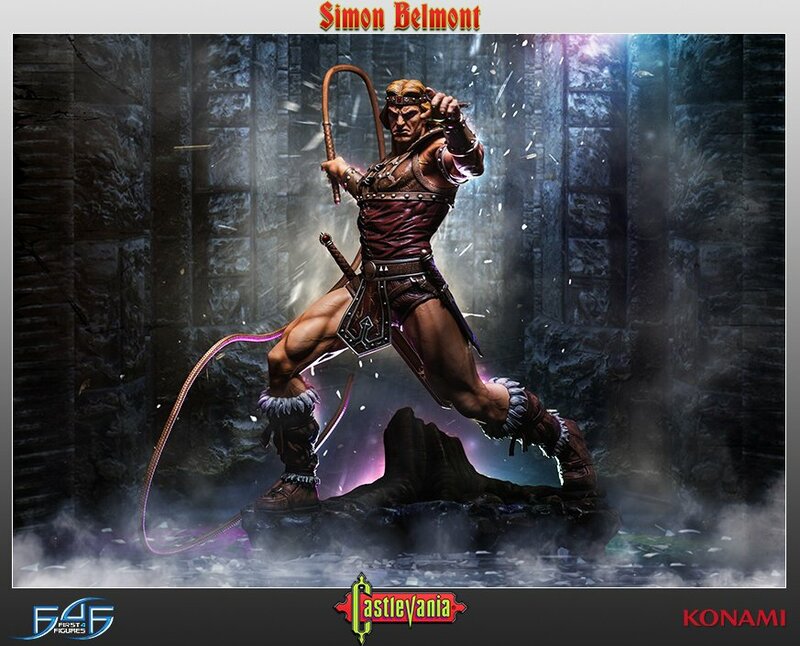 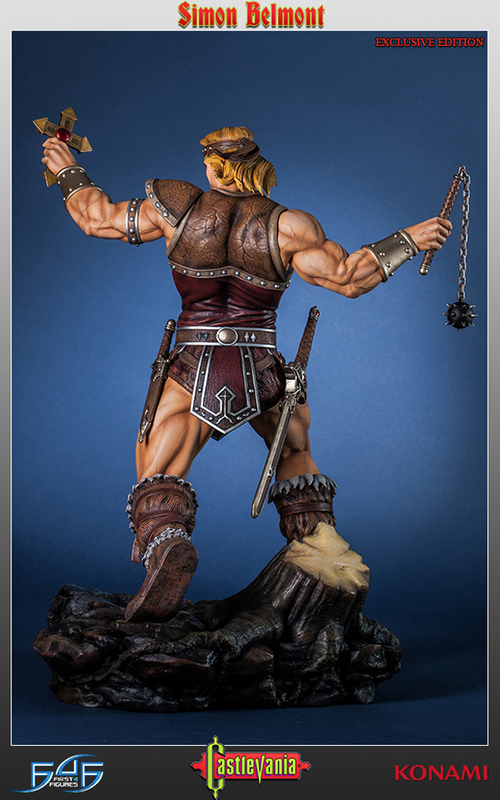 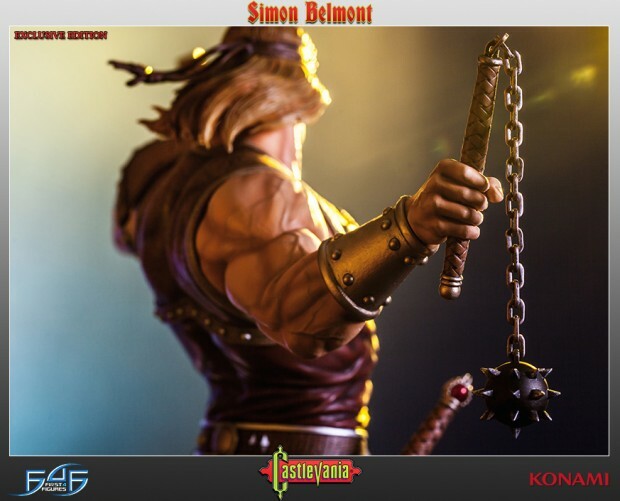 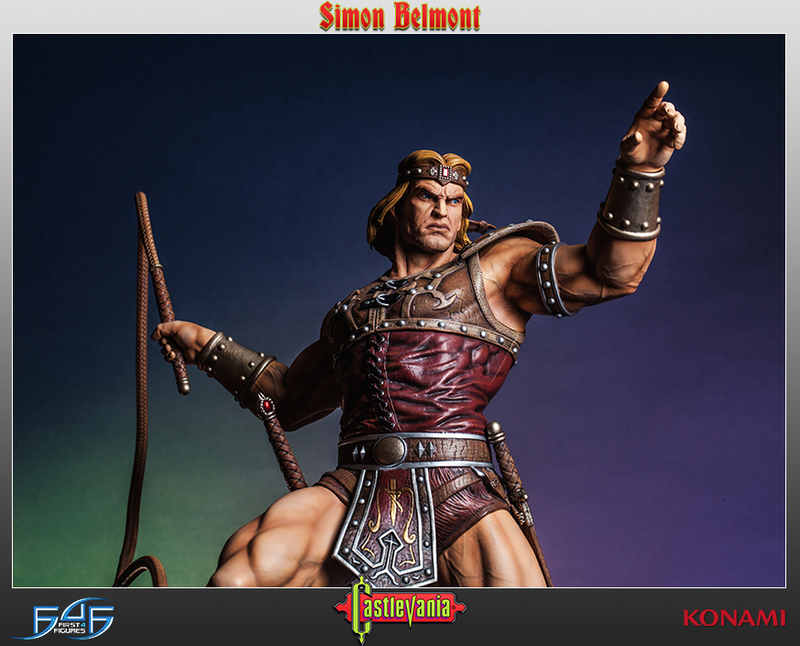 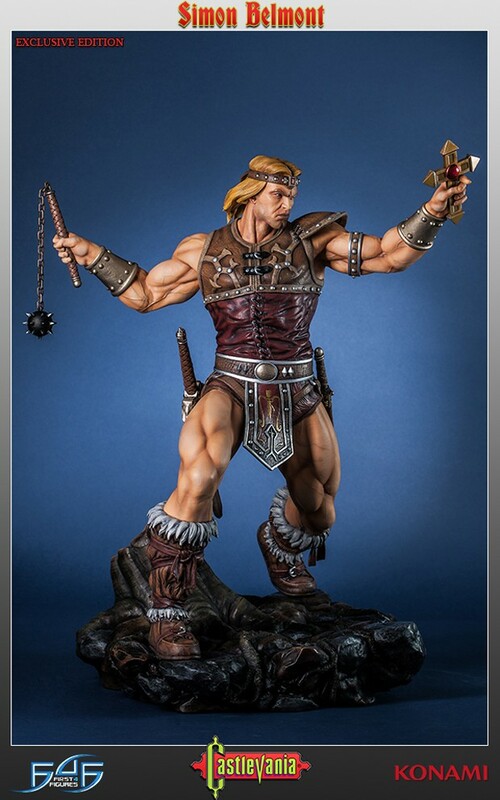 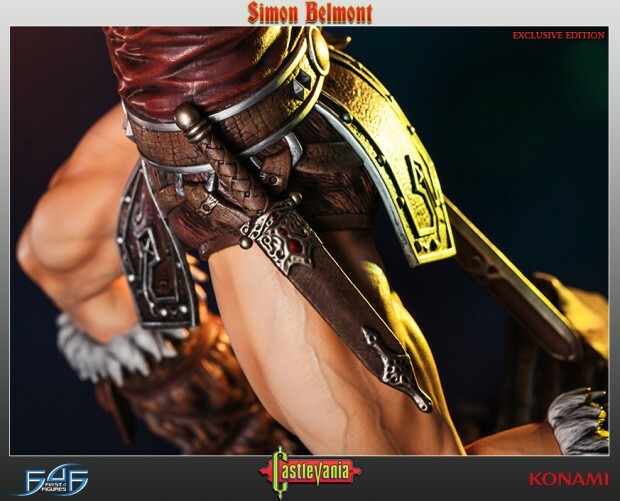 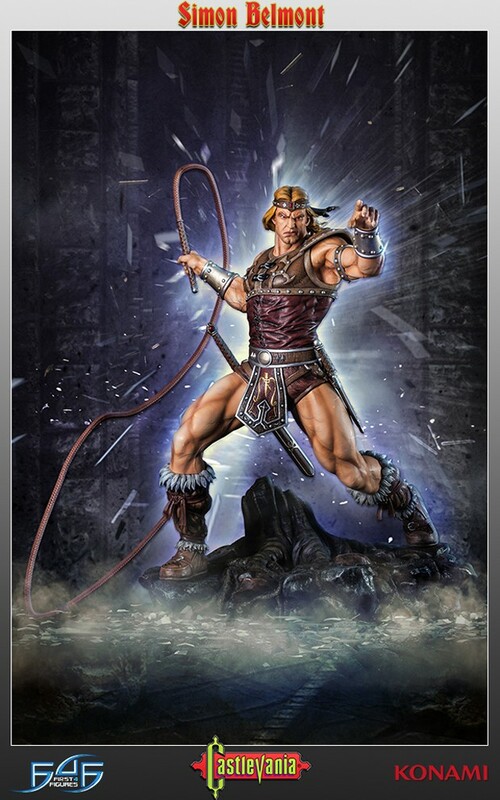 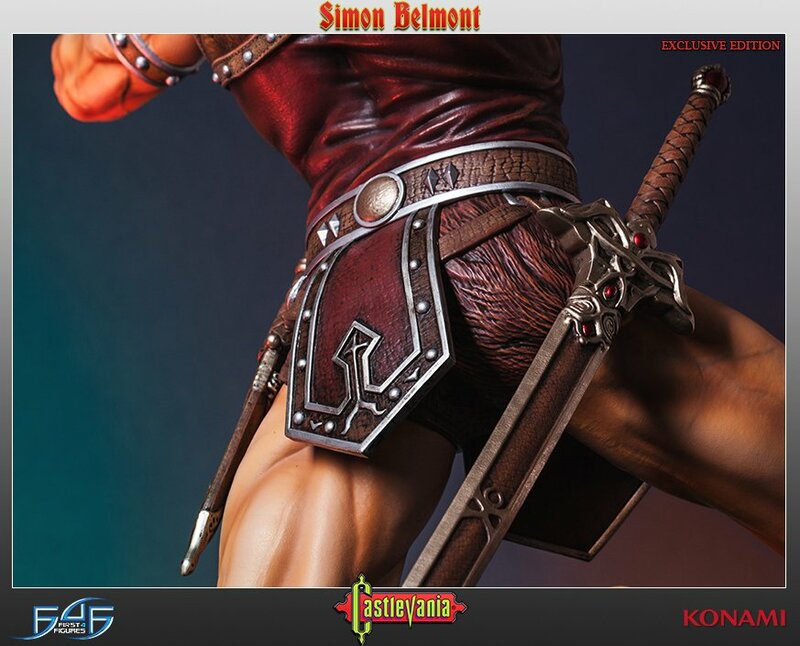 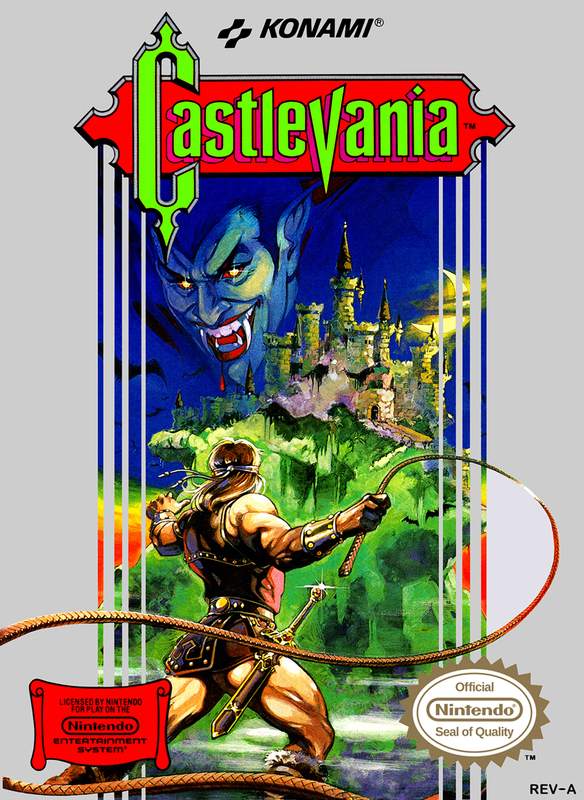 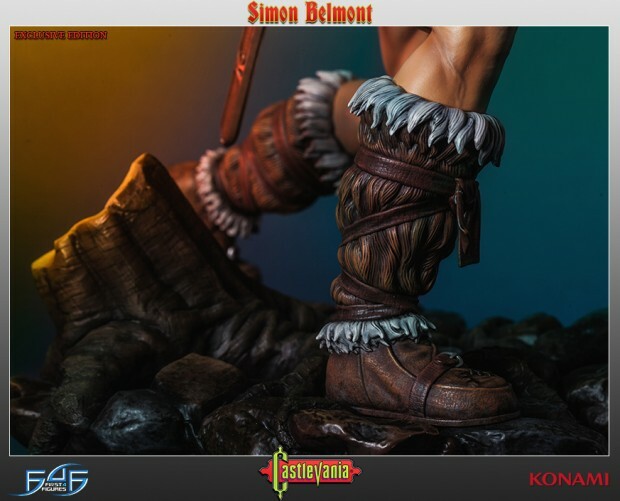 First 4 Figures turned the famous NES cover for the original Castlevania into one badass rendition of hero Simon Belmont. The 20″ tall polystone statue is ridiculously detailed, from the veins bulging out of his skin to the creases on his armor, but still retains its cartoonish look. 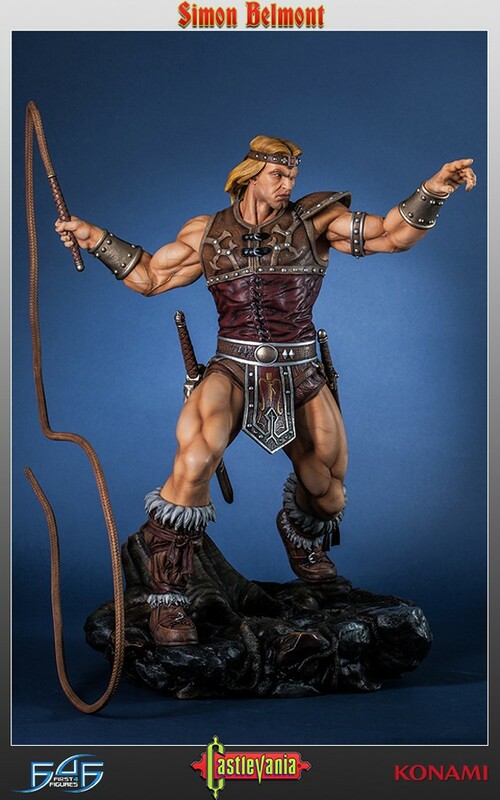 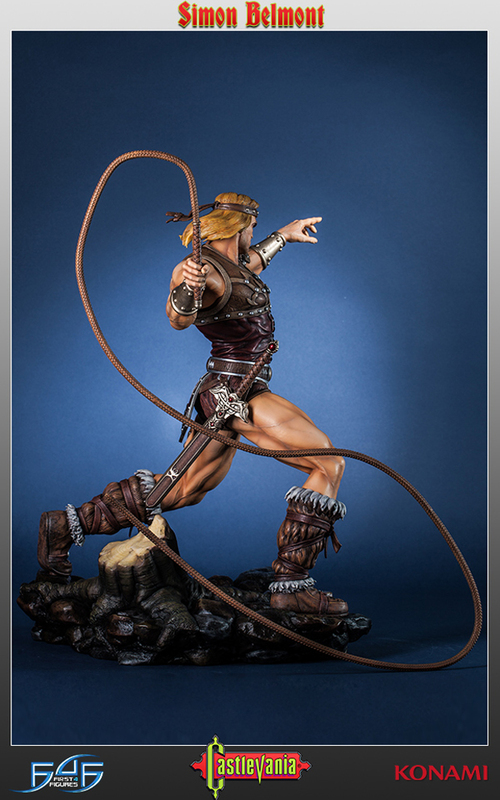 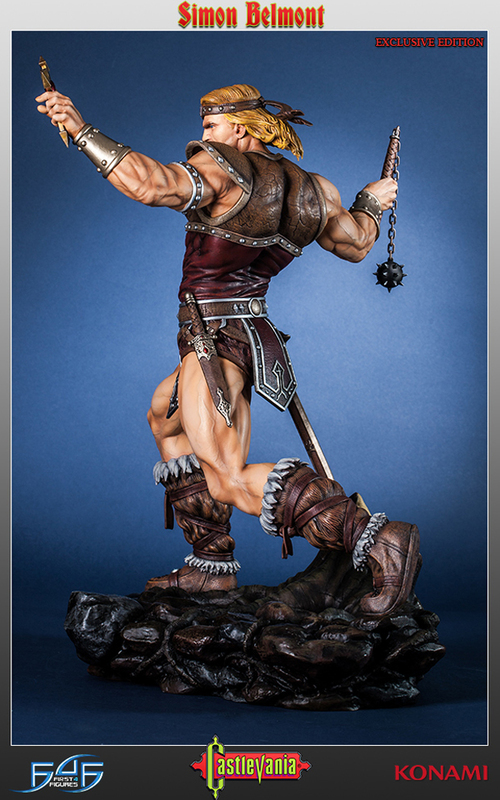 The standard version of the statue costs $400 (USD) and is limited to 750 units. 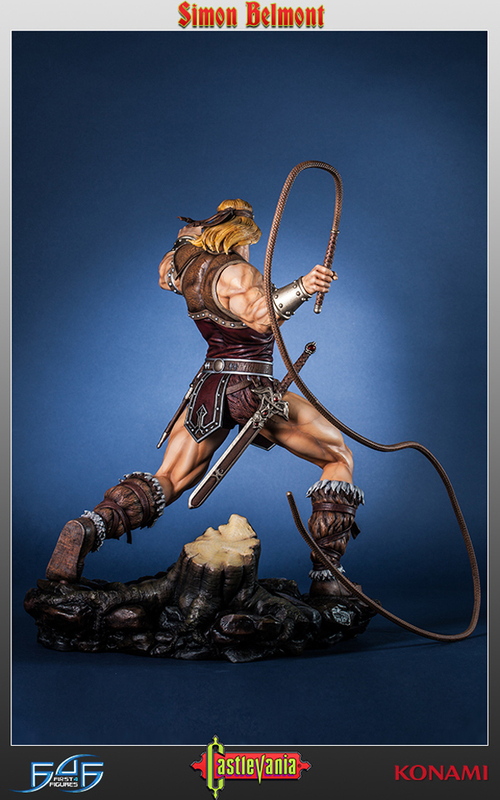 The exclusive version costs $440 and is limited to only 299 units. 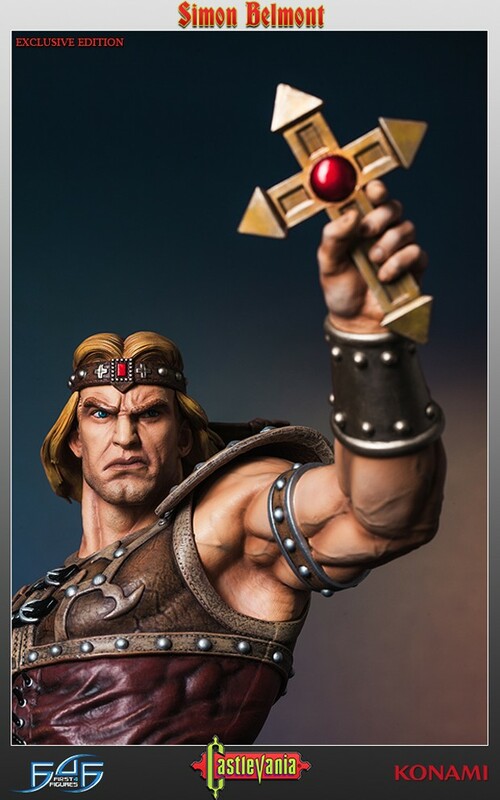 That one comes with a Short Chain and a Boomerang Cross that can be placed in his hands in place of the Vampire Killer whip.